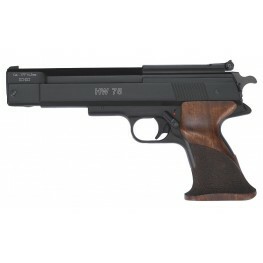 Weihrauch HW75 .177Single stroke pneumatic match air pistol. Absolutely recoilless, allround training pistol, dry firing mechanism and sport grip, ambidextrous.Gun TypeAir PistolGun MakeWeihrauchOrien..
One of the most powerful air pistols. 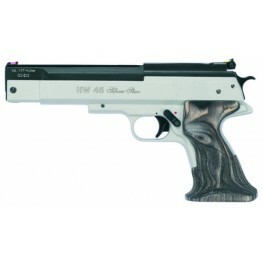 Its modern and compact design relates to one of the famous service pistols in the world. You can choose between two velocities without pumping etc., with spring p.. Compact design and extra strong, with new laminated grip, Stainless-Look (Duo-Tone), with fiber optic sights and spring piston system (delivery without scope). One of the most powerful air pistols. It..